Using the latest advances in fingerprint technology, SmartDATATEL stores your money on a payments card that then is used for online purchasing. Stored inside the cards memory is your private information needed to make an online purchase such as your name, billing address, shipping address inside your own biometric fingerprint secured digital wallet. Using either stored cash or one of your own credit/debit cards that you want to use for online purchases you swipe your finger on the cards fingerprint sensor and then plug it into a miniature USB card reader connected to your computer. Your digital wallet is now ready to send safely over the internet your purchasing information without you ever needing to enter it on your keyboard. Simple, elegant and very safe. A solution against identity theft for the consumer and a strong protection for the merchant. 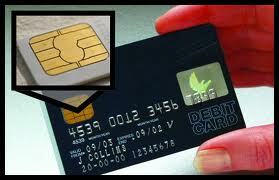 SmartDATATEL online purchasing "biometric card" is also able to store money. As a "stored value" card the SmartDATATEL biometric card allows the user to load money onto their card and send it over the internet to online merchants or even directly to other card owners. This is a prototype photo of the fingerprint scanning card. The silicon fingerprint sensor is embedded in the card and after a fingerprint verification activates the surface mounted square EMV payments chip. New production releases of the biometric card are scheduled for release in the first quarter of 2014. Using the SmartDATATEL patented direct advertising system, the person is able to receive individual advertising based on user selected preferences. These preferences are stored on the online purchasing card and are used by a remote advertising server to send advertising that would be of more interest than the random annoying advertisements that a person is normally bombarded with while online. Built into the SmartDATATEL online purchasing card is an advertising blocking program that aids in the blocking of unwanted adds that are sent by systems using cookies and other kinds of invasive spyware. A safer online experience providing protection against spyware while allowing user permitted and defined advertising. Interactive and opt-in ad formats can drive engagement substantially, and that’s why publishers and technologists are testing a range of new digital ad formats. Mining new ad opportunities is vital, especially as publishers seek ad formats that keep users on a site, rather than clicking away, adds David Payne, Senior VP and Chief Digital Officer with the Gannett Company. Interactivity can drive time spent on a site and with ads, says founder and CTO of Innovid, an interactive online video advertising platform. Targeted, interactive ads can often double the time a marketer spends in front of a consumer, he says. The ability to target users across multiple dimensions and provide user level measurement to a far higher degree of precision relative to the traditional media (e.g. TV, print) is what keeps marketers excited and dollars flowing into this industry. Most ad targeting currently uses second-order proxies that involve the tracking of online or mobile web activities. Behavioral targeting, the most common ad targeting method online, works by anonymously monitoring and tracking a user via cookies. Close to 50% of online ads currently rely on some form of third party cookies to locate, track and target users. 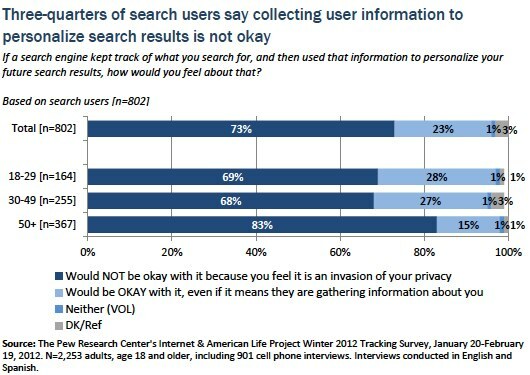 This has raised a large amount of fear and controversy, most particularly towards privacy rights. The SmartDATATEL opt-in advertising solution allows the user to receive better targeted advertising that is based on opt in user defined information and NOT on cookies or other user tracking methods. SmartDATATEL has an issued patent that has been licensed exclusively to it by SmartMetric, Inc. This patent covers the process of targeting advertising to users based on pre-defined information that is held on a data chip. This patented technology is of great value and is the basis of the opt-in advertising model being developed by SmartDATATEL for use by Telecom companies and Mobile Handset manufacturers. 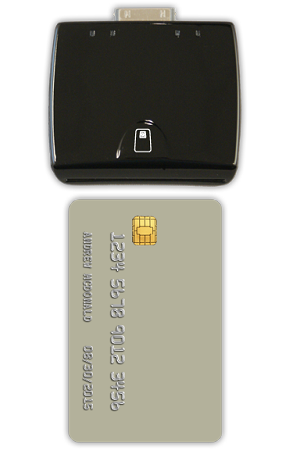 A typical EMV Chip card - in excess of 1.5 billion such cards are in use throughout the World. Deployment of such cards has commenced in the USA. SmartDATATEL uses the SmartMetric, Inc. in-card fingerprint reading technology. The contact card comes in standard or EMV ISO 7816. It can be used for ATM machines, B2B and P2P money transfers. The card can be used for the most secure online transactions. The card is suitable for secure network login, as well as access control at the front desk. Any off-the-shelf reader can be used in conjunction with the biometric card.Using our thin display technology the card can also, display a visual of the user for added security. Using the biometric security, the card offers the most secure way to pay at vending machines using the NFC protocol. SmartMetric has developed thin technology allowing a combination of any of the base products into a combo card. Using Biometrics as the on/off switch of the card, we offer Medical Emergency cards, which can be used by insurance companies, as well as individuals, to store all medical records and imaging (video, stills). The card comes with a application (windows, mac, iPhone/iPad, and android) that allows the user to track, and update his/hers medical information. Using our thin display technology, in case of emergency, such as in a emergency room, the card will display, vital medical information of the user. The contactless card comes in standard or EMV ISO 14443, and can be used at the POS. The card can be used with standard ISO 14443 readers. MedicalKeyring™ a product of SmartMetric, Inc.
A ground breaking product that uses the world's first smallest miniature fingerprint scanner that has been engineered and developed by SmartMetric, Inc. This enables a person to carry with them their complete medical files and all the files are protected by the file owner's biometric fingerprint. The device has a built-in rechargeable battery allowing the device to be used in clinical situations without the need of being "plugged" into a computer. It also has a built in powerful ARM processor in order to conduct the fingerprint verification in less than a second.